During our trip through Europe, my husband and I would keep track of all of our outstanding meals. Since I’ve been back in LA I’ve been meaning to recreate some of them. 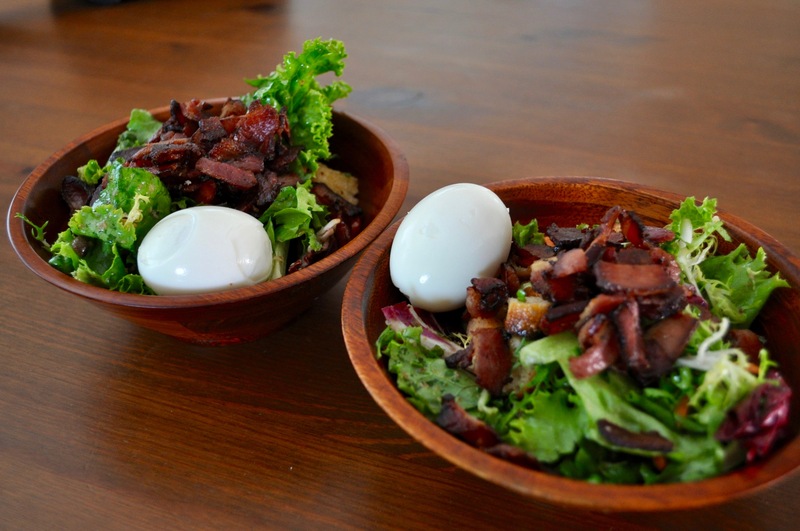 Earlier this week I did just that – I recreated my favorite salad from Lyon. The salad I chose to recreate was from Buchon Thomas where Chef Thomas made this deliciously simple salad. I felt quite proud of myself after whipping this up. My husband said it was as good as Chef Thomas’ – winning!! Any time my food is compared to that of a French chef’s, I will take the compliment in stride any day. Now whenever we feel like having a bit of Lyon at home, we can recreate this salad and reminisce on our lovely time in Lyon. First make the dressing. This allows the flavors to combine while assembling the salad. Combine lettuce and croutons, then drizzle the dressing over the salad mixture. 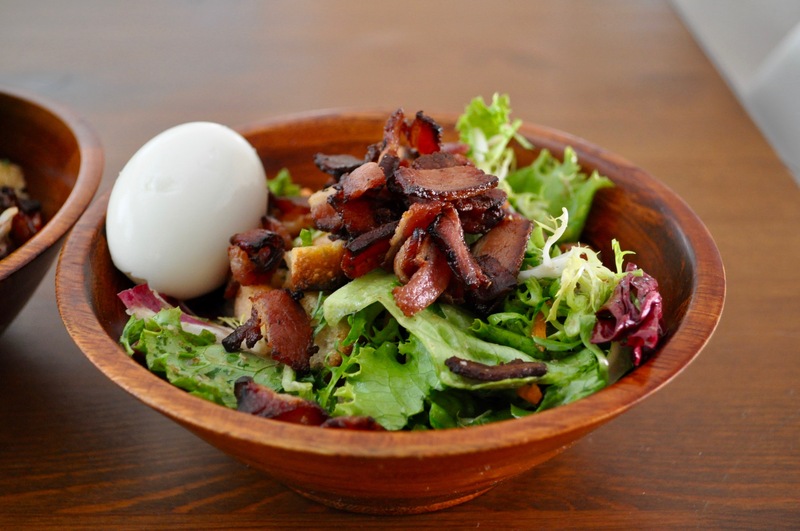 Sprinkle the bacon over of the salad, then place the soft boiled egg on top. 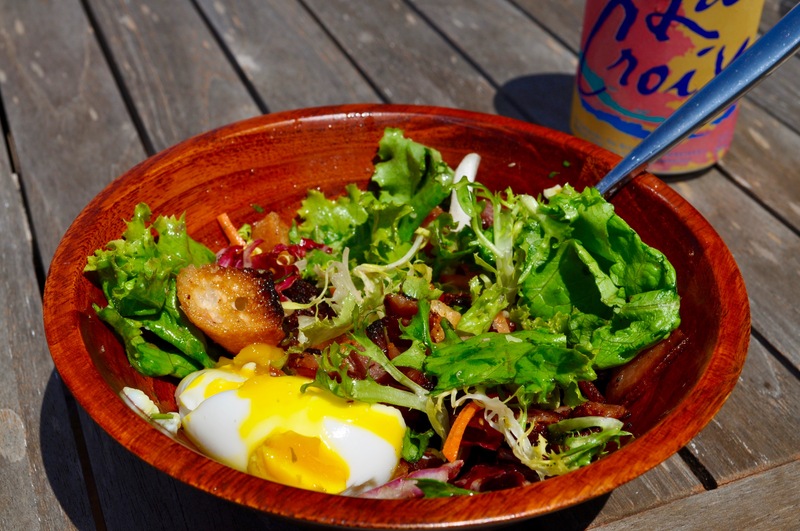 That way, when you cut into the egg the yolk and flavor will disburse through the salad. 1 Comment on "Recreating My Favorite Salad From Lyon"